There is nothing so horrific as child murder, yet it’s ubiquitous in human history. What drives a parent to kill a baby? is an American author, whose most recent book is The Heavens (2019). She lives in Manhattan. If there’s one thing we can still agree on in this era of political polarisation, it is that the life of a child is sacred. A mass shooting, air strike or natural disaster in which children are killed is considered far worse than one that slaughters only adults. When the ethicist Peter Singer suggested that, in theory, a baby’s life might be less worthy of protection than an adult’s because its consciousness is less developed, there were irate calls for him to lose his job. There is – our culture assumes – no love so great as that of a parent for a child, and no crime so unequivocally evil as the murder of an innocent infant. Furthermore, it seems reasonable to suppose that this attitude is genetically determined. What could be a more basic evolutionary imperative than to protect one’s offspring from harm? The only problem with this simple account is that for most of human history infanticide was a common and accepted method of family planning, and the perceived innocence of children was less likely to win them special care and more likely to make them seem like ideal sacrifices to a bloodthirsty god. Evidence suggests that, while extreme protectiveness of children is hard-wired in the human brain, it exists alongside a predilection for murdering them shortly after they are born. It is well-known that animals kept in confinement can kill, even devour, their own infants. It is a peril of buying pet hamsters for your child. Here, the common assumption is that the stress of manhandling these solitary, nocturnal creatures drives them to homicidal mania. Zoo animals are also known to kill their offspring, which fits with a model of infanticide as a pathological response to abnormal stress. It turns out, however, that many animals in the wild routinely kill their young, often as a brutally straightforward means of winnowing out the weak. In one study of Norway rats, infant survival was strongly correlated to the success of the parents; low-ranking, scarred female rats ate more than 60 per cent of their young, while high-ranking, unscarred females weaned 100 per cent of their offspring. Parents will also sacrifice babies to save themselves. A mother kangaroo, under pursuit from a predator, will scoop out the joeys from her pouch and throw them into her would-be slayer’s path. Among primates, researchers have witnessed a chilling phenomenon whereby one female steals another’s infant to use as a living doll, sometimes leading to the death of the baby through rough treatment or starvation. But perhaps the most cynical baby murders are practised by snowy egrets, which typically lay three eggs. In the mother’s body, the third egg gets only half the normal dose of hormones, and is born less aggressive than the others. If food is abundant, the larger nestlings throw their passive sibling out to die; if scarce, they gobble him up. The moral of these stories is not that animals are horrible, but that, in evolutionary terms, some infants are disposable. The evolutionary pressure is not to have the largest number of offspring, but the optimal number of healthy offspring at the optimal time. Of course, humans do not routinely throw away our babies to distract predators. It’s rare for human women to steal other women’s infants to play mommy, then murder them with neglect. We don’t – nor would wish to – give birth to triplets in order to use one as a food cache for the others. Human infanticide can, however, be likened to the status-linked cannibalism of the Norway rat. Throughout history, infanticide has been linked to the poverty and low status of the infant; and while parents seldom eat their infants, they are almost invariably the ones who take the decision to murder them. And they are the ones who carry it out. Like infanticide in animals, infanticide in humans is mainly driven by survival concerns, and the children who are killed share the same qualities everywhere it has been practised. From ancient Greece to present-day Bolivia, newborns are at risk if the child is deformed or premature, if its mother already has other children, if it’s illegitimate, and (with some exceptions) if it’s female. These criteria remain the same regardless of whether fathers, mothers or even whole communities are responsible for deciding which children live and which die. The factors also have a multiplying effect, so in places where infanticide is less common, a combination of them can still drive parents to dispose of their infants. In one study of mothers in rural Tamil Nadu in India, it was found that infant mortality was four times higher for female babies – but only when their mothers already had at least one daughter. Often, infants are killed because they’re expected to die regardless. For instance, some Arctic peoples were reported to kill infants whose mothers had died in childbirth and had no one to suckle them. Sickly or deformed babies have always been vulnerable to infanticide for the same reason, and many cultures have a comforting superstition that they aren’t real humans; in medieval Europe, they were called ‘changelings’; in Africa, ‘witch babies’ or ‘spirit children’. As such, they could be abandoned or killed without guilt. Most of my life, I never had any secrets to weigh down my heart. The only thing is when I was 24, I gave birth to a girl, and drowned her. Even now I regret it. At the time, we were so poor that we had not a thing in our house … As for this mere fleck of foam – what would be the point of raising her? It would only be in vain: no good for me, and no good for her. So I made up my mind to drown her. After losing so much blood during birth, I couldn’t get up, so I ordered the servant girl from your grandparents’ house, Si Xiu, to drown it. She put it into shallow water, but it didn’t die the whole night long. I was so furious, I forced myself to get up, and shut the door in order to drown her. I turned my head, closed my eyes and then did it. I couldn’t look. Alas! How could I have done such a cruel thing? As this account shows, parents ease the killing of a newborn by persuading themselves that it is not yet a child. This idea of the pre-human infant is often formalised in ritual. In ancient Athens, a child could not be killed after it had had its Amphidromia, the ceremony taking place a week after its birth, to give it a name. In early Scandinavia, it was illegal to kill a child after it had received baptism or been given food. Throughout the Christian world, baptism probably remained a cut-off point for many parents; as late as the 17th century, baptismal records often show a suspicious preponderance of male babies, with many of the girls having been quietly disposed of by their parents before they were brought to the attention of the community. It’s worth emphasising that it is newborns who are the focus of virtually all culturally sanctioned infanticide. There is no custom in which poor parents kill an older female child to make room for a newborn boy, or kill an older disabled child to make room for an apparently healthy newborn. One need only consider the fate of a newborn abandoned in a cat- and rat-infested area of a modern city to appreciate how little practical kindness this method involves. Still, infant exposure allowed parents the consolation that they had not murdered their babies, and let them fantasise that their child might be saved and adopted – a popular theme in folklore and literature around the world. Mothers who didn’t expose their infants still tended to kill them with as little violence as possible. The means was often culturally determined: in medieval England, we find parents suffocating, or ‘overlaying’ their babies; in medieval China, babies were drowned. Often, societies treat neonaticide as not-quite-murder. In many legal systems, the killing of a neonate by its mother is a crime distinct from homicide, and punished less harshly, while the murder of a baby by its father is not. In the late Middle Ages, when official attempts were made to stamp out infanticide by punishing its perpetrators, they were met by the public with stonewalling. People were often reluctant to report their neighbours for this crime; even maids who shared the same bed would claim not to have noticed that one among them had been pregnant. In 1624, England introduced a draconian law that tried to stop mothers passing off murdered newborns as stillbirths by punishing any woman who gave birth without a witness and couldn’t produce a living child. This law remained on the books for 180 years, but relatively few women were prosecuted under it, and even fewer were convicted; between 1730 and 1774, for instance, only 61 cases of infanticide were tried at the Old Bailey in London. Of the 12 infanticide cases from 1680-88, nine ended in not-guilty verdicts, and three were dismissed for insufficient evidence. It would be comforting to attribute these low numbers to the rarity of the crime. But this was not the case. Thomas Coram, who helped to found the London Foundling Hospital in the 1730s, was motivated by seeing, on his daily walk to work, the large number of infants thrown on dunghills or on the sides of the road, ‘sometimes alive, sometimes dead, and sometimes dying’. This 18th-century foundling hospital movement was the first large-scale attempt to solve the problem through charity, and it swept through Europe on a wave of public good will. Mothers of illegitimate children, previously stigmatised as lewd women who deserved their miserable fate, were now invited to leave their offspring, anonymously, at a hospital. In the hospitals in Napoleonic France, there was a turntable where a woman could place her baby, ring a bell and have a nurse turn it and take the child – the mother remaining unseen, her identity protected. 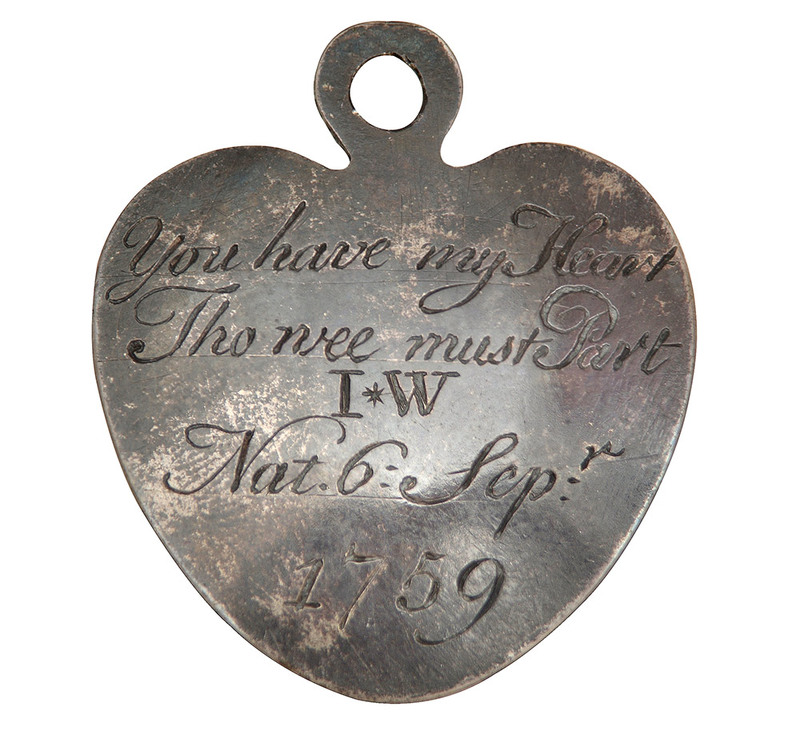 At London’s foundling hospital, a mother could leave a token with her child, so she might remain anonymous but still come to reclaim her baby if her circumstances improved. In one sense, these hospitals were a roaring success. Mothers travelled from villages for miles around to leave unwanted infants. At the London Foundling Hospital, there were scenes ‘of women scrambling and fighting to get to the door, that they might be of the fortunate few to reap the benefit of the Asylum’. In 1818 in Paris, the number of foundlings left in the hospital was equal to a third of the babies born in the city. Unfortunately, most of those foundlings died. Of the 4,779 infants admitted to the Paris hospital that same year, 2,370 were dead within the first three months. Throughout Europe, the numbers were similar. The improbably luxurious St Petersburg hospital, housed in the former palaces of counts Andrey Razumovsky and Aleksei Bobrinsky, cared for 25,000 children at its height, and was considered a model of its kind, employing 600 wet nurses and countless foster mothers in nearby villages. Yet half of its charges died in the first six weeks. Fewer than a third lived to age six. In the 19th century, the further innovation of ‘baby farming’ allowed mothers to pay a foster mother directly to care for their unwanted babies. In order that these mothers could walk away unimpeded, baby-farmers were often paid a single lump sum. But they soon became notorious for killing their inconvenient charges, either by neglect or with opiates. Actual rates of child murder did not significantly decline in Europe until the popularisation of condoms in the late 19th century eliminated much of the necessity. That is: we stopped killing our babies only when we started having fewer of them. Quinn’s work on child sacrifice leads us to an interesting exception to all the ‘rules’ of infanticide discussed thus far. Using children as human sacrifices was common throughout pre-Columbian South America, as well as in ancient Carthage. Here, rather than being deformed or sickly, the preferred victims were unblemished and of unusual beauty. They were seldom newborns; they could even be adolescents. People engaging in child sacrifice tended to be high-ranking and affluent; the rituals often opulent. Victims chosen for the Incan capacocha ritual, which marked festivals and important events in the life of the emperor, were kept in luxury by the state, sometimes for years, before being ritually killed and mummified. They were fed so well that archaeologists can pinpoint how long a particular victim was supported post-selection by examining the mummy’s hair. These Incan sacrifices were poor children being used by a wealthy bureaucracy – but, according to Quinn, the Carthaginians sacrificed their own children and, since the ritual was costly, such parents were by definition rich. This, finally, is a practice that seems so distant from us as to be completely incomprehensible. Yet, if we assume the Carthaginians sincerely believed in their gods and feared the willingness of those gods to punish them for ingratitude, it’s part and parcel of the same phenomenon: one child is sacrificed so the rest of the family might thrive. Given the ubiquity of infanticide, biological imperative seems likely to be mixed in with social custom. Some societies have embraced it openly, others have driven it into the shadows, but virtually all have accepted infant murder. Even in many developed countries today, a newborn requiring intensive care may be legally allowed to die if it is not expected to survive long. Of 1,000 infant deaths in the Netherlands every year, roughly 600 are the result of a decision made by parents and medical staff. Clandestine infanticide also persists: as recently as 1997, 5-10 per cent of Sudden Infant Death Syndrome cases were suspected to have concealed infanticide. The risk factors are also mostly still the same. Mothers are more likely to kill infants born out of wedlock or, when they already have small children, followed by an infant whom they cannot support. In a 1998 study from the University of Texas, the rate of infanticide for twins was found to be almost double the rate for singletons. Better birth control, lower infant mortality and easier life circumstances might have made infanticide less prevalent, but the drive to do it, and the logic underlying it, remain beneath the surface. There are reasons to believe that infanticide could make a larger comeback. Recent years have seen increasing efforts, particularly in the United States, to make abortion illegal while restricting access to birth control. Religious groups are pushing this agenda worldwide, with success in Africa, where birth control has been stigmatised as a form of genocide. The backers of these policies believe them to be pro-baby; as the group Human Life International puts it, they’re protecting ‘the traditionally life-loving African culture’. The real results, however can be seen in a country such as Senegal, where access to birth control is limited, and all forms of abortion are illegal – and where almost one in five incarcerated women are in prison for infanticide. How do we pry apart the true and compelling from the false and toxic?